Latinas experience the highest rates of cervical cancer of any ethnic group in the United States according to Centers for Disease Control (CDC) data. Also extremely concerning, the American Cancer Society reports that more than 13,000 women will be diagnosed with cervical cancer in 2018. Considering that cervical cancer is very preventable, it is crucial to raise awareness and address barriers Latinas face to receiving life-saving preventative care. 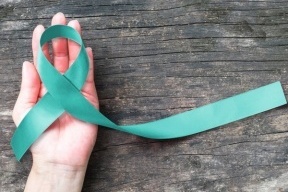 January, which is Cervical Cancer Awareness Month, is a great time to talk about ways to address cervical cancer related outcomes for Latinas. 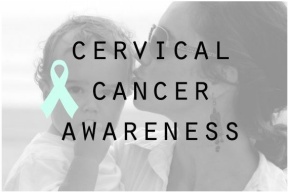 The good news: cervical cancer prevention works. As many as 93 percent of cervical cancers can be prevented, says the CDC, thanks to screenings like the Pap test and recent medical advancements like the Human Papillomavirus (HPV) vaccine. There are steps to take to protect yourself and your family. 1. Ask your doctor about the HPV vaccine for yourself and for your kids. HPV is a main cause of cervical cancer. The HPV vaccine can help protect against the types of HPV that most often cause cancer. The HPV vaccine is recommended for preteen boys and girls. 2. Get regular Pap tests after age 21. Pap tests look for abnormal cervical cells so they can be treated before they turn into cancer. You should ask your doctor about a Pap test even if you have not had a screening in a long time or if you had the HPV vaccine. © 6269 Chicago Hispanic Newspaper, Lawndale News, Hispanic Bilingual Newspapers, Su Noticiero Bilingue. All rights reserved. XHTML / CSS Valid.